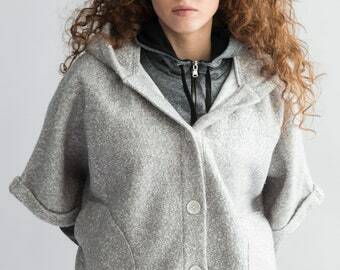 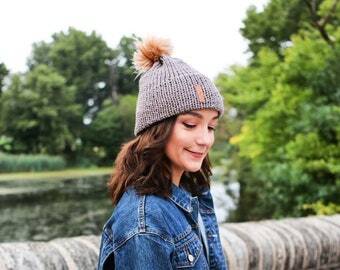 Slouchy beanie with faux fur pom pom. 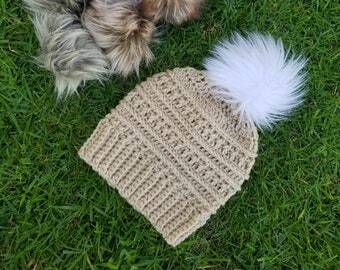 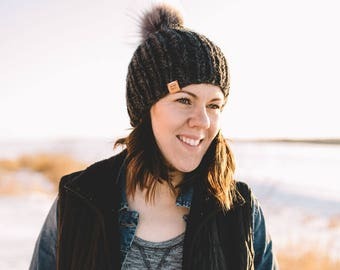 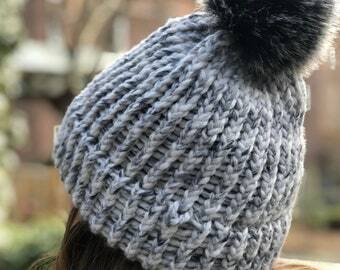 Winter Beanie With Faux Fur Pom Pom. 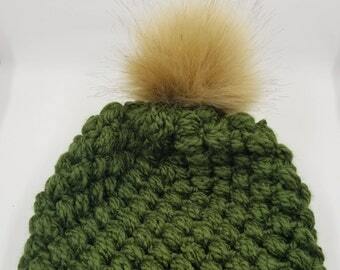 Pom Pom Hat, Sticks & Stones. 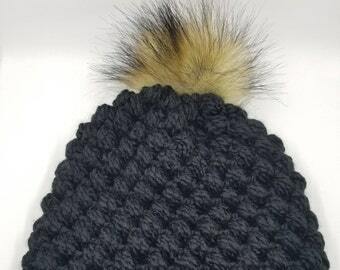 Chunky knitted beanie with faux fur pom.